Optimized performance with superior efficiency. Integrated designs with advanced accuracy and stability in shorter cycle. 16 liter pail application achieved. 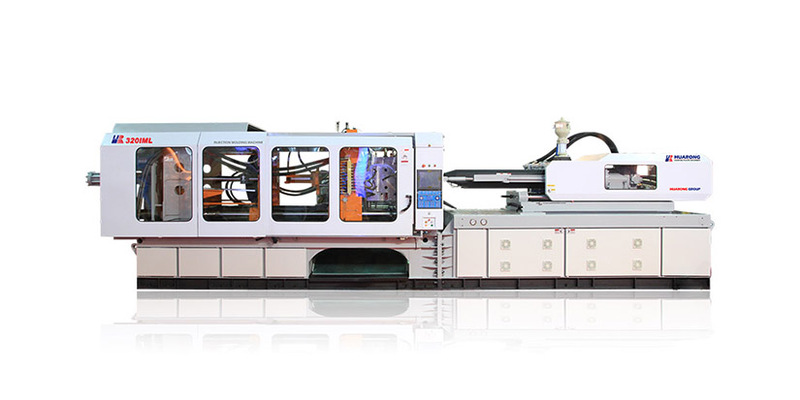 Integration of molding machine and complete labeling automation. Integrated machine and tool designs reinforced mechanism structure, and optimized labeling precision. Patented “2-axis shifting IML automation” introduced for large parts molding. Customized molds and tooling system, along with patented “deep pail de-molding structure”. Accurate transfer from lifting to placing. Automatic feeding rotary ensured label supply. Deep pail de-molding structure, #M284529.